Go Metro to check out the Abilities Expo and learn about the products and services available for the community of people with disabilities, their families, caregivers, seniors and healthcare professionals. Metro is participating at the expo with an information booth. Bus operators will be there to meet people and answer questions, and wheelchair experts will be available to attach straps and pre-mark wheelchairs for bus securement, free of charge. You can also view the accessibilities videos that provide customers with disabilities some examples of transit service and features that can be expected when traveling on Metro. Friday from 11 a.m. to 5 p.m.
Sunday from 11 a.m. to 4 p.m. The expo is free to the public, but registration is required at the door. To get to the convention center, take the Metro Blue or Expo Line to Pico Station or the Silver Line to Figueroa/Pico. Check Trip Planner for more routes and connections. 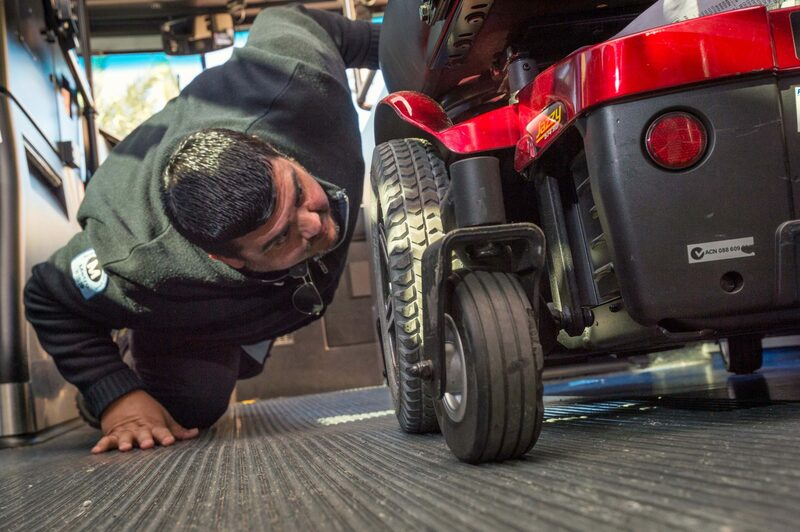 All of Metro’s buses and trains are accessible and ADA-compliant; Metro currently boards more than 100,000 passengers using wheelchairs per month — the most in the nation. Metro also offers reduced fares to passengers with disabilities, and riders with current Access Service ID cards may ride Metro Bus and Rail at no cost. How We Roll, March 20: have you found what you’re looking for?